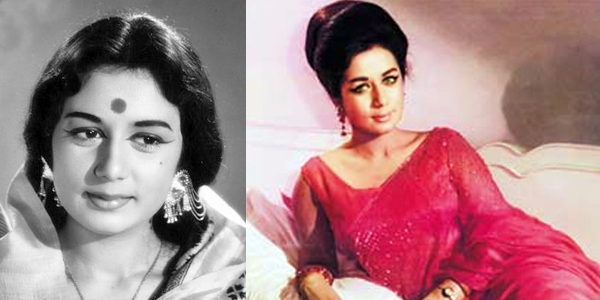 Yesteryear actress Nanda’s rise from Sister to Heroine! Eminent actress of the 60’s Nanda who gave several hits films like JAB JAB PHOOL KHILE opposite Shashi Kapoor, GUMNAAM opposite Manoj Kumar, TEEN DEVIYAN opposite Dev Anand, THE TRAIN opposite Rajesh Khanna was actually stereotyped into a sister’s role in the late 50’s both because of her cute face and her short stature. In fact the filmmaker to immortalize her as a sister was none other but legendary filmmaker V. Shantaram. It’s reported once Nanda attended a wedding ceremony in the family wearing a sari. The wedding was attended by eminent filmmaker V. Shantaram, who was also a family member of the Nanda family. Watching the cute little Nanda in sari he was bowled over and going straight to Nanda’s elder sister, Meena he said, "This charming girl is the heroine of my next film." The film was TOOFAN AUR DIYA (1956) and after this Nanda did a series of sister roles in movies like BHABI, CHOTI BEHAN, KALA BAZAR etc. So who broke Nanda’s stereotype sister image and opened doors of heroine. Well in an interview Nanda said, “I must credit Mr. Dev Anand who dared to cast me as his heroine after I played his sister in KALA BAZAR (1960). She added, “He was so impressed by my histrionics that for his next film HUM DONO (1961), he signed me as his heroine. The movie was a big hit and I became a popular heroine”. Today January 8 is the birth anniversary of the legendary actress; Raaga.Com pays our homage to the great actress. Why is the media making a hullabaloo about Aamir Khan’s removal from ‘Incredible India’ campaign? It’s believed that ‘The pen is mightier than sword’! True indeed, because history has witnessed many empires being collapsed by the power of pen. But it is a sheer tragedy that the so-called ‘Mighty Pen’ is today losing its sheen, The journalists, who are supposed to be the fourth pillar of the democracy, in lure of cheep sensationalism are penning stories without caring a damn about the society or the person about whom they write! 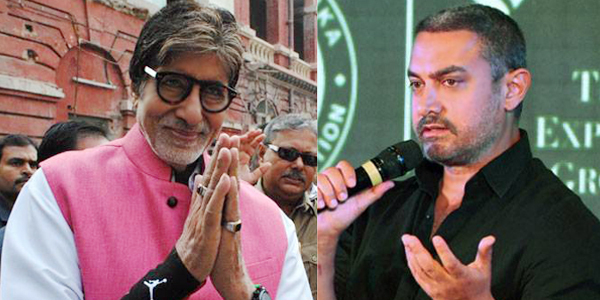 Take the latest report about Aamir Khan being replaced by Amitabh Bachchan in the Incredible India campaign. Despite the Union Tourism Minister Mahesh Sharma clarifying that the Ministry has not kicked out Aamir Khan for his outrages ‘intolerance remark’ but he has been replaced by Mr. Amitabh Bachchan just because his contract with the agency has been over. Though Aamir Khan and some intellectual may have understood that the media’s version of the story is nothing but pure fabrication to make the story look more juicy and thrilling but what about millions of average Indian citizen, who are incited by such nonsense reports that are nothing but a source to rekindle the intolerance in the country!!! Isn’t it a pity to sell the news the media bends so low that it forgets its duty towards the nation and the society!